We were asked to design and build a bespoke website that would enable the end user to quickly navigate to and access any of the unit’s and videos. All the units contain an embedded questioner, built using type from. 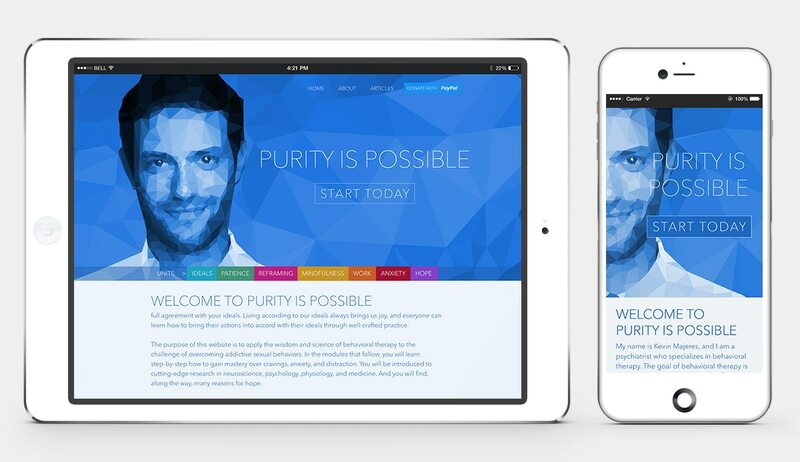 The purpose of Purity is Possible Website is to apply the wisdom and science of behavioural therapy to the challenge of overcoming addictive sexual behaviours. 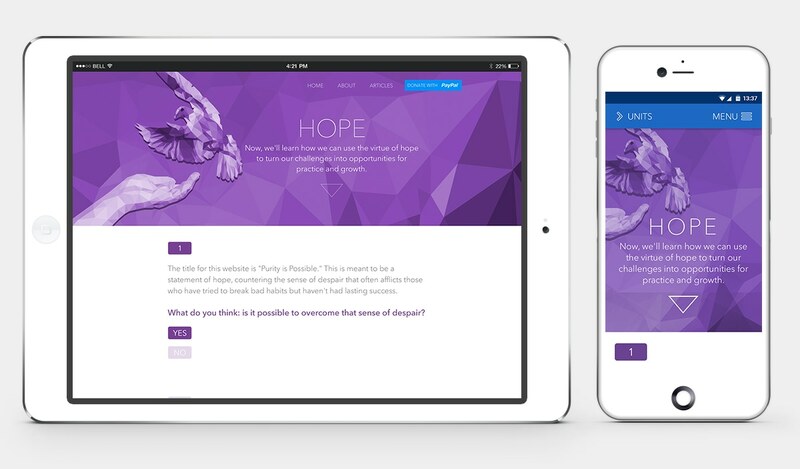 Learning step-by-step, users will gain mastery over cravings, anxiety, and distraction, introduced them to cutting-edge research in neuroscience, psychology, physiology, and medicine. Illustrations created for the ‘Purity is Possible’ Units. Using the WordPress CMS platform we built a bespoke theme. Creating an environment giving our client full control over their web content.